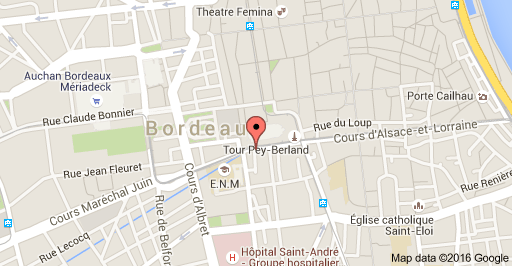 FAERE 2016 will take place at the Pôle juridique et Judiciaire (or Pôle Pey-Berland) on the campus of the University of Bordeaux near the “Pey-Berland” place. 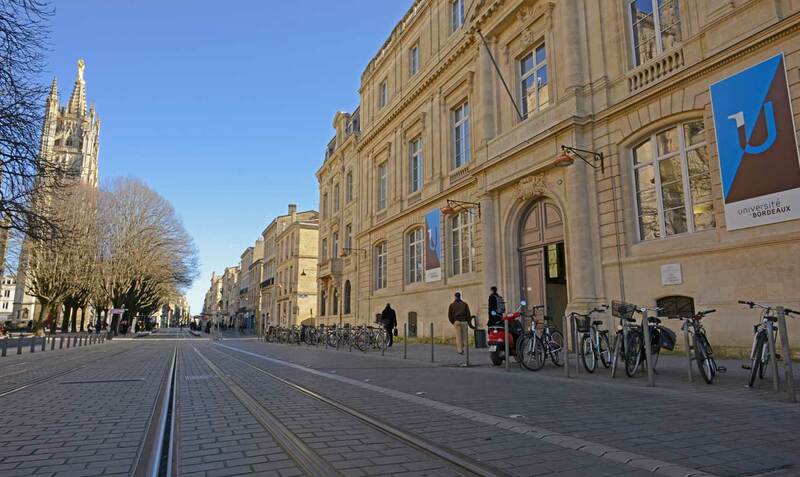 Such a location within the center of Bordeaux city should be convenient and pleasant for people attending the conference because both the historical part of Bordeaux and the main facilities will be accessible in a few minutes. In particular, the tramway stops a few meters from the Pôle juridique et Judiciaire. The Pole is located in the very town center, and you can easily get there by public transport. From the train station: Take tramway line C (direction Les Aubiers) then change at “Porte de Bourgogne“. Take tramway line A (direction Mérignac centre) and stop at “Hôtel de Ville“. From the airport: At “Aéroport Terminus” bus stop, take the bus “Liane 1” direction “Quinconces Munich“. Stop at “Gambetta“. Walk 7mn to “the Place Pey Berland“. Liane 1 provides also connecting services with Tram Line A at “Mérignac Centre”.